Titus returns in 2014 with more compact and redesigned dimensions. 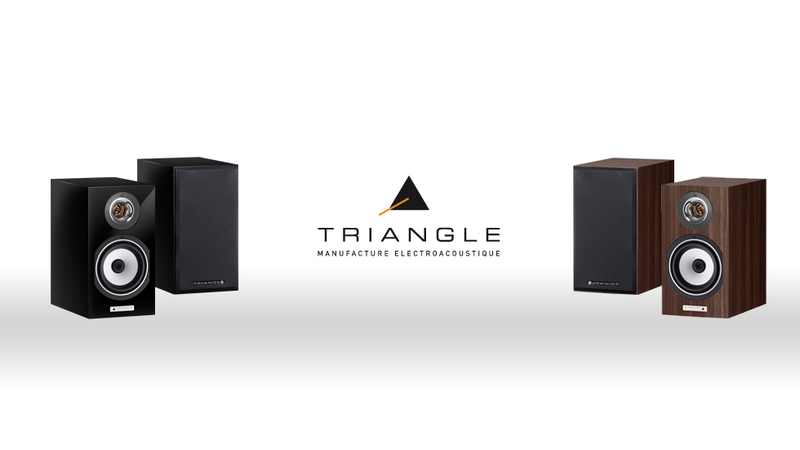 The speaker offers outstanding intensity and a powerful bass for a product of its size. Easily blending to its surroundings, Easy on the eye, this discreet and elegant device masterfully fills all rooms with engineered sound. 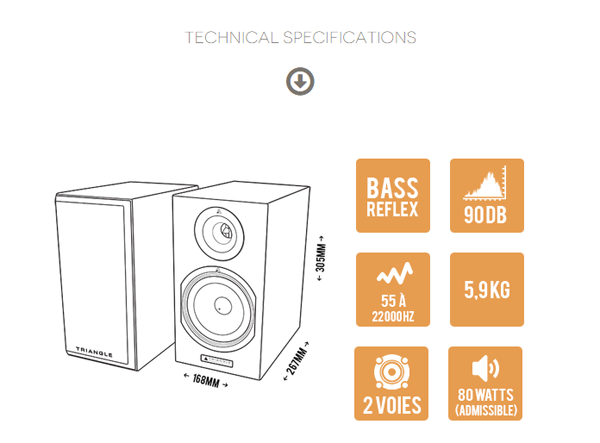 "As with a musical instrument, the quality of each part has a decisive impact on the speakers’ acoustic performance. 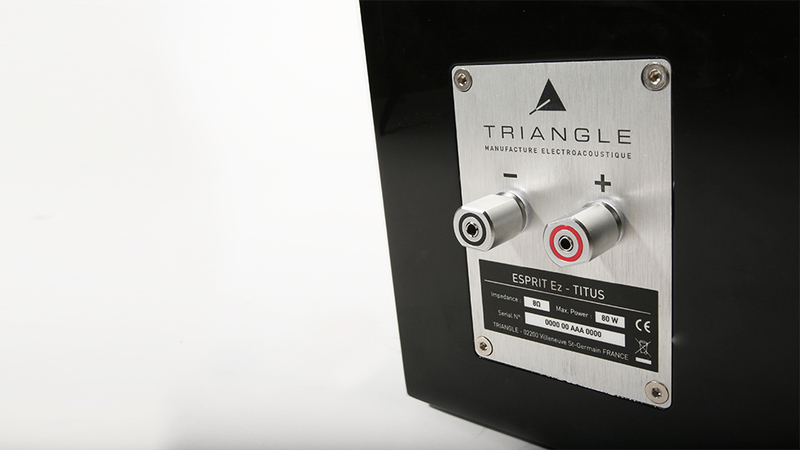 TRIANGLE carefully selects each component with the sole purpose of enhancing your experience." 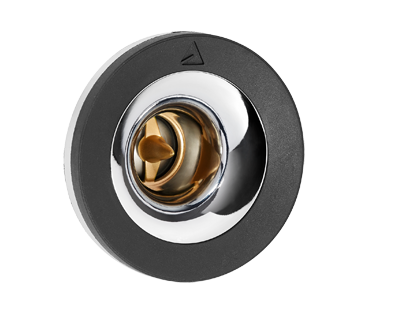 self-locking system for banana plugs. efficiency with low distortion and excellent directivity. the phase plug. It reduces the directivity and provides almost the same sound level throughout the room. frequencies offer a more natural listening experience. To sustain the TRIANGLE midrange quality, while providing deep bass, we have developed a half-roll suspension made of foam and treated rubber. It provides a dynamic performance due to the low inertia combined with the cellulose pulp cone. 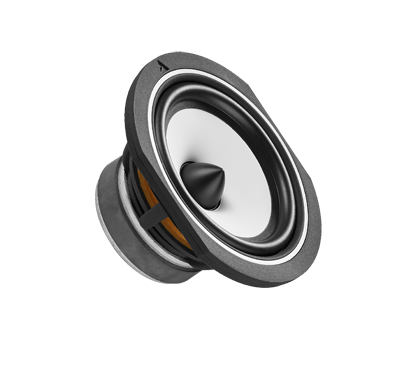 The profile of the cone was also redesigned and now provides an extended frequency response. 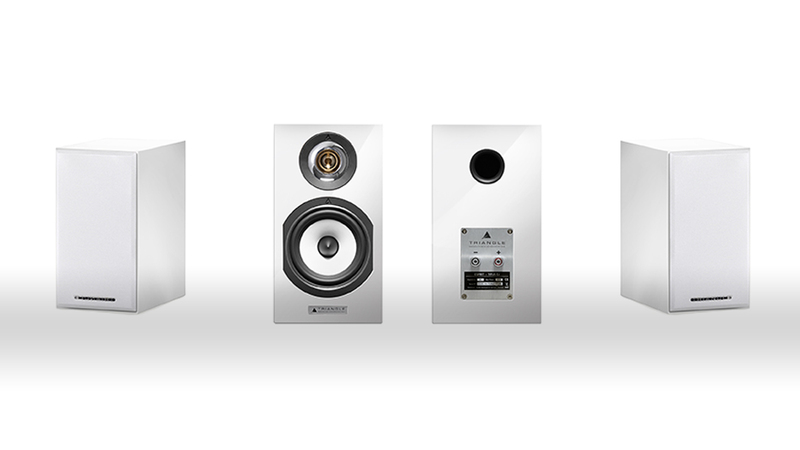 Thanks to the new suspension, the bookshelf speakers in the ESPRIT Ez range provide a generous bass, all the while remaining dynamic. All components used in the crossover have been selected due to their quality: copper coils with a diameter of 1mm and met capacitors. 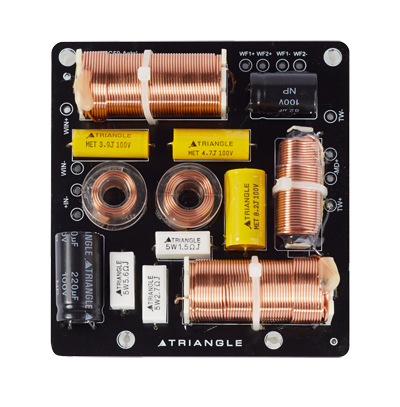 The signal is transferred by a TRIANGLE OFC cable, which assures resistance and quality over time.